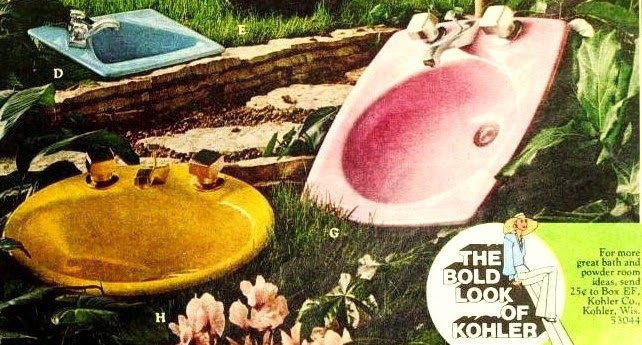 Farm Girl Pink....: ~ Vintage Goodness... Kholer Bathroom Sinks! Well looky there! It's an amazing pink bathroom sink from Kholer. Sitting amongst a whole collection of bathroom sinks in bold colors. This is when home interiors got a little unfortunate in color options. 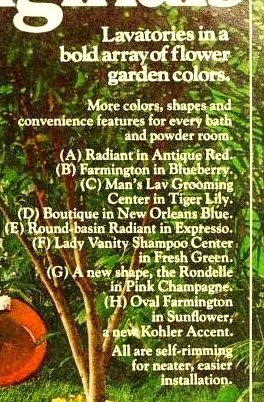 Now out of all of these... it is the Lady Vanity Shampoo Center in Fresh Green. That has my full attention. Now I am not gonna lie. I really do like this Fresh Green sink. I love that it has that sprayer attached. I did notice the pale blue sink too. But it really does have a small bowl. And I prefer a bigger bowl sink. I am annoyed by those tiny and shallow sinks that seem to have flooded the market in the last twenty years. All they are good for is splashing water out everywhere. 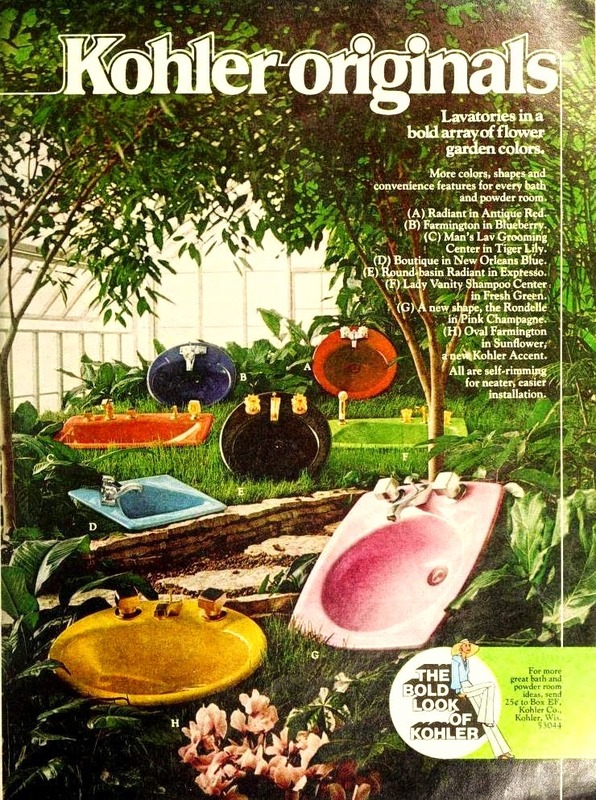 At least all these vintage Kholer bathroom sinks seem to have a better depth to their bowls.